Rufus loves to burrow underneath blankets. If I’m sitting in a chair draped in a blanket, Rufus will immediately come over and get underneath. And when I get up to do something, you’re left with the following images. 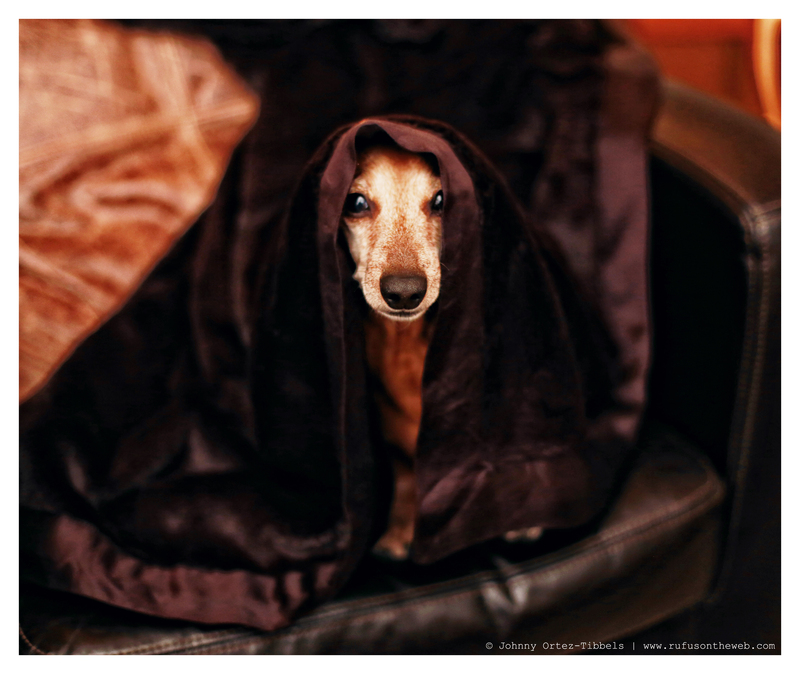 Do they look familiar fellow doxie humans?! 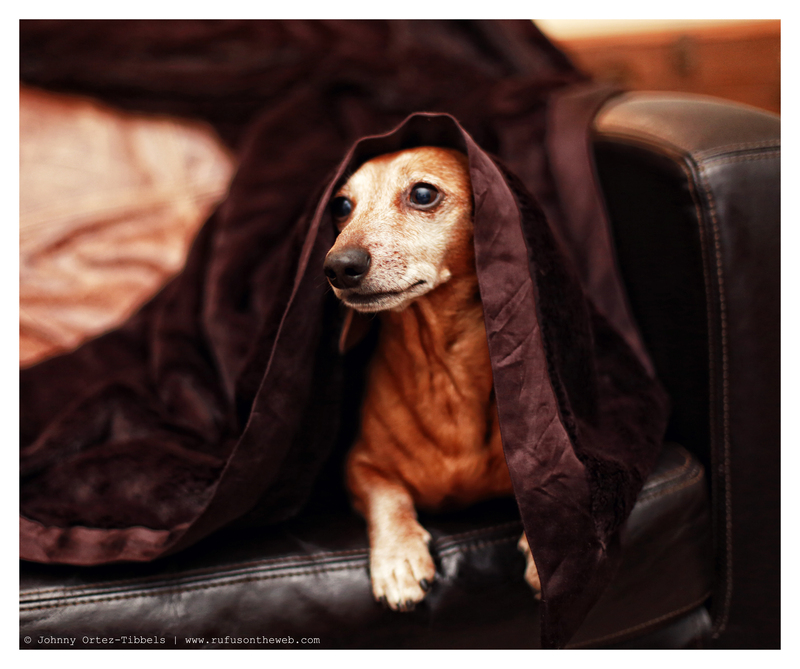 To all of our doxie friends experiencing cold weather today, Rufus says stay warm and stay covered in blankets. yup!!! mine love to burrow!!!! Dori will get hot & have to come out for air, then will go right back under!! Frieda stays buried all night!! Rufus is adoreable!!!! He looks comfy, cozy and so warm. I love Rufus!!!! RUFUS!! He is so CUTE!! I had one of the very few non-burrowers. Carrie Ann expected ME to cover her, and if she uncovered herself, would stare at me until I performed my duty and tucked her in again. She was a princess, and of course princesses have Staff.